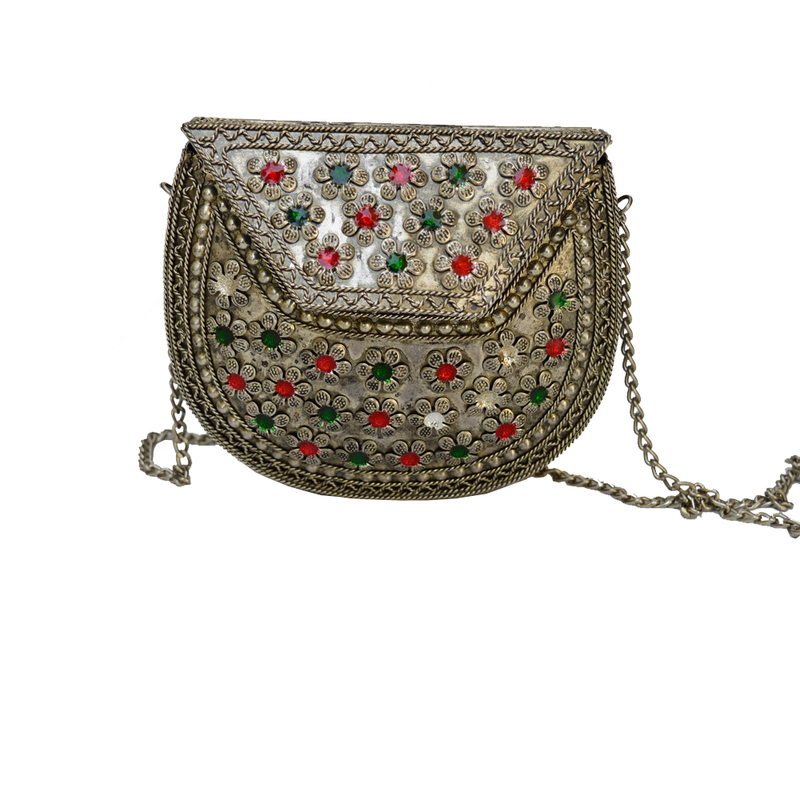 The Stones Style Painted Oxidized Bag with Chain Strap boasts of intricate floral pattern with a stone-bedecked body to make it quite an eyeful. The Read More..riot of colors brought about by the colorful stones offers nice contrast to the oxidized backdrop, while the chain strap combines elegance with convenience. This bag is bound to look pretty with both Indian and western dresses alike, and bring out the ravishing inner dive in its users. Show Less..